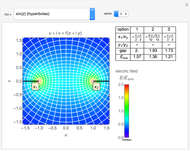 Three options give slightly different boundary conditions or electrode potentials or . The parameters are shown on the right. 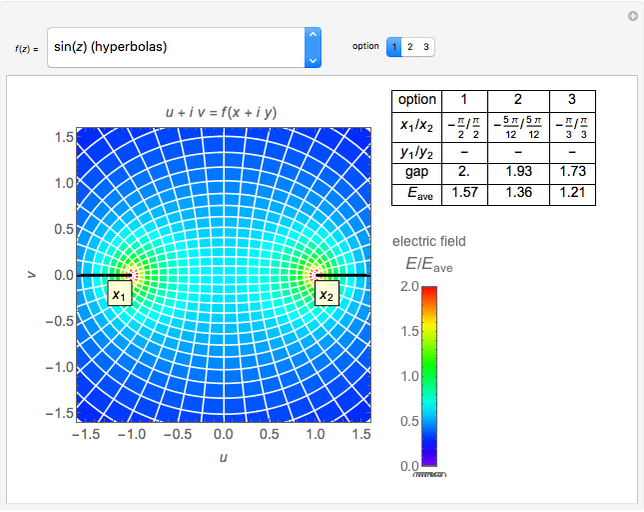 The calculated electric fields are shown by color, normalized to the average field or , where is the smallest distance between two electrodes. 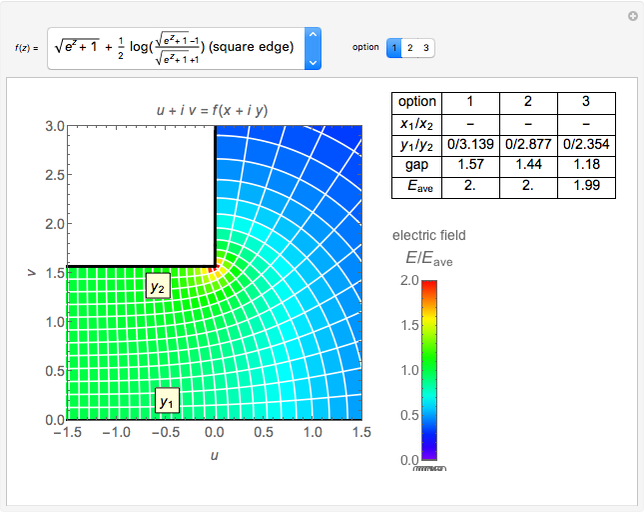 If you select option 1, the local field is high in the vicinity of sharp electrode edges. 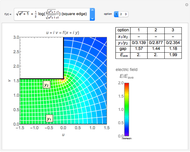 When selecting option 2 or 3, the values are reduced owing to blunted edge conditions. The white lines indicate the flux line and the dashed lines are the equipotential lines for constant or constant . Those two families of curves are orthogonal. 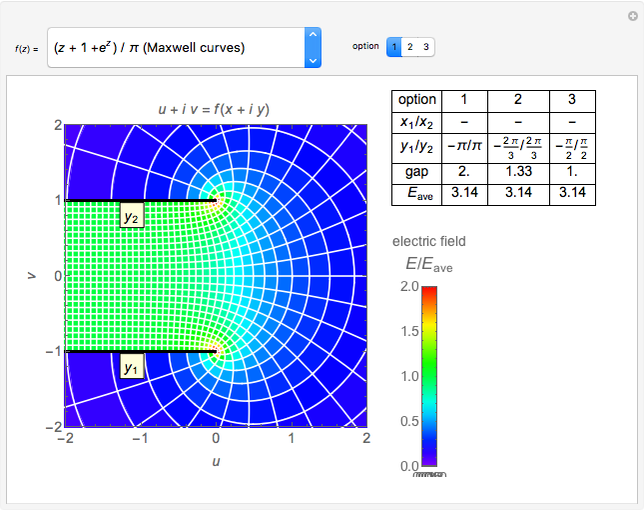 When a curve from a constant represents an equipotential line, the electric field can be calculated from . Therefore, its magnitude is given by . 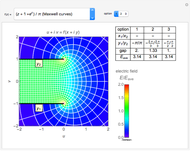 The calculation is done for a limited number of and values to save time. Please be patient, particularly for and . H. Prinz, Hochspannungsfelder, München: R. Oldenbourg Verlag, 1969. P. Moon and D. E. Spencer, Field Theory Handbook: Including Coordinate Systems, Differential Equations and Their Solutions, 2nd ed., Cleveland: John T. Zubal, 2003. Y. Shibuya "Electrostatic Fields Using Conformal Mapping"